Holiday with us for a breath of fresh air! Wake up to stunning views of Loch Ewe. 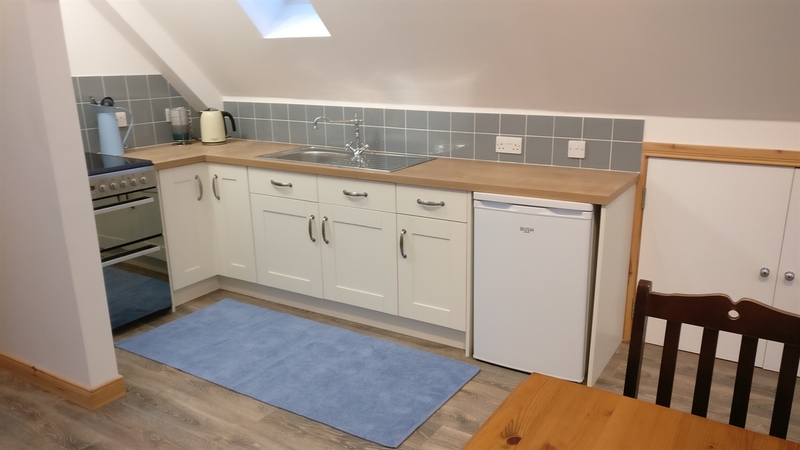 Newly built, An Sealladh Studio is the perfect base to start your Wester Ross adventure. It has been road tested by us for a year while we built our house, and frankly we were sorry to leave it. An Sealladh Studio is located above our garage next to the house both of which are set within the croft. 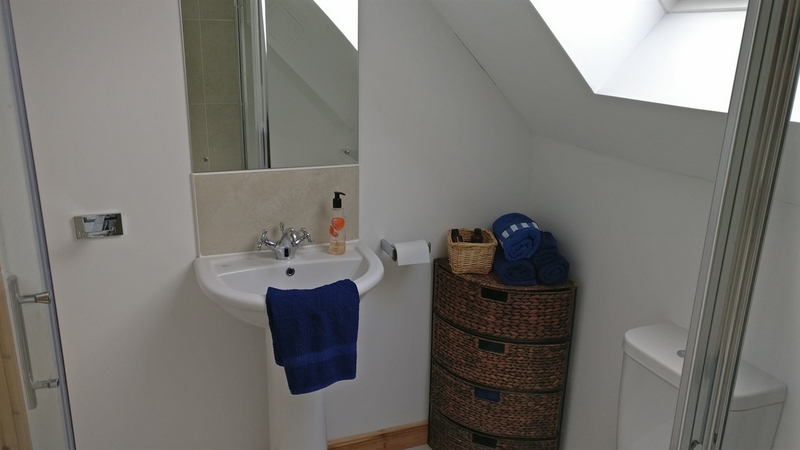 The good sized studio has stunning views over Loch Ewe and the mountains.The studio comprises an open plan kitchen/lounge/bedroom with separate wc/shower room and can comfortably accommodate up to 2 adults and 1 toddler—camping cot and highchair are available at no extra cost. 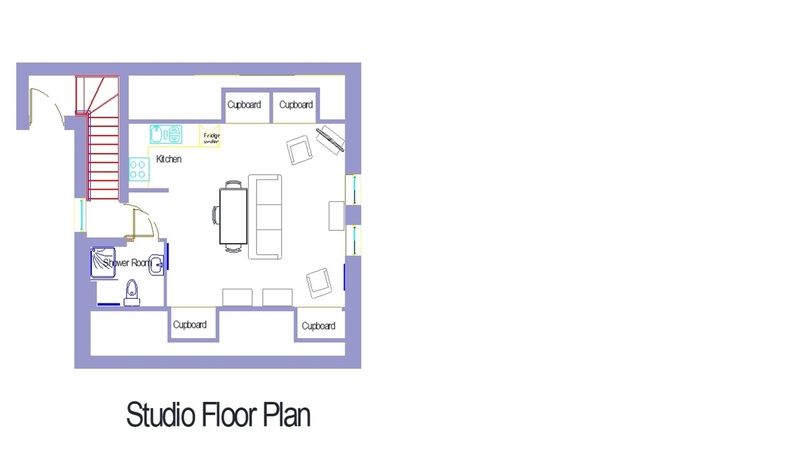 In the kitchen area you will find plenty crockery, pots, a cooker, fridge, kettle, toaster and microwave. We have a washing machine in the garage, just ask if you wish to use it.